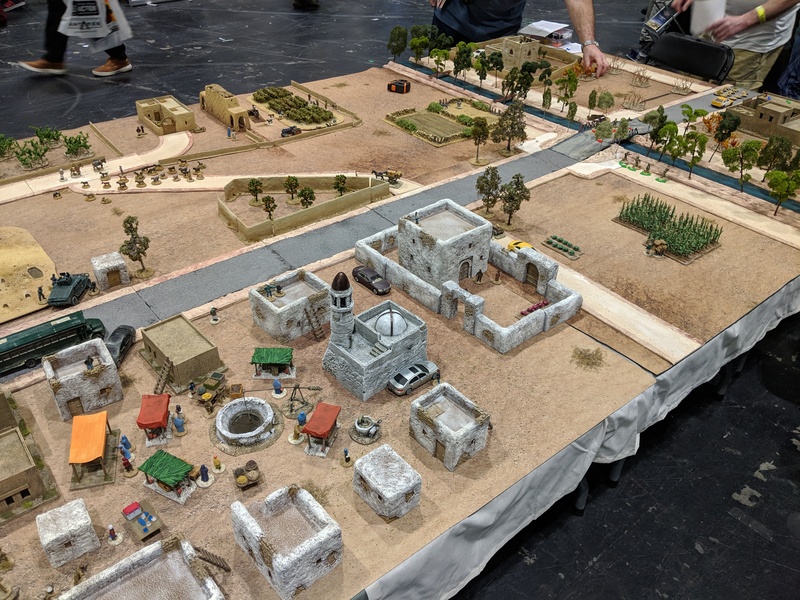 Let’s start this Wargaming Week, covering the 15th through to the 22nd of April. It’s the post Salute lull so news is basically nothing as everyone rebuilds stock and recovers from standing in the Excel centre. The only exception is Empress who keep drip feeding previews for their ongoing Vietnam range. As always, it’s some fantastic work from Paul Hicks. Nothing! I’m working through the pile I have while getting ready for some time away. That said, having somehow lost some of my scatter, I might be rebuying the rubbish bags from Spectre. First up, I finally managed to get the pile of UAVs from Spectre finished off and mounted on the flight stands. I’m going to do a writeup on them along with the MAARS robot and the Operators once I get them all finished. As for these guys, they were super simple – paint white, black ink wash to pick out the details. I was a little slapdash when spraying so some of the flight stand was coloured but honestly, I’m not that fussed – I’d rather get them ready for the table than making them 100% perfect. With it being the Easter weekend (and staying in Edinburgh for a change) I managed to get a load of stuff done. Most of it was preparation work (bases and undercoating) but now everything but the White Dragon guys. And shockingly, I actually painted my first two figures for the year! Yes. In April. Jeez, that’s a painting funk and a half. Wanting something simple (aka no camo) I decided to get the Spectre Sheriff and my favourite Undercover Operator painted up. It was really great to get back in and get them painted, especially using the Army Painter brushes. I’m sure they are not the best figures I’ve painted by hey, first time back after a long time away!